179 lbs to 17,848 lbs. Andy & Tammy were not to be denied by picking up a further 251 lbs at Hobo Beach - 18,099 lbs for the year!! Andy collects another 188 lbs of trash in 5 x 40 USG trash bags. This brings his annual total to 1,488 lbs!! WOW!! 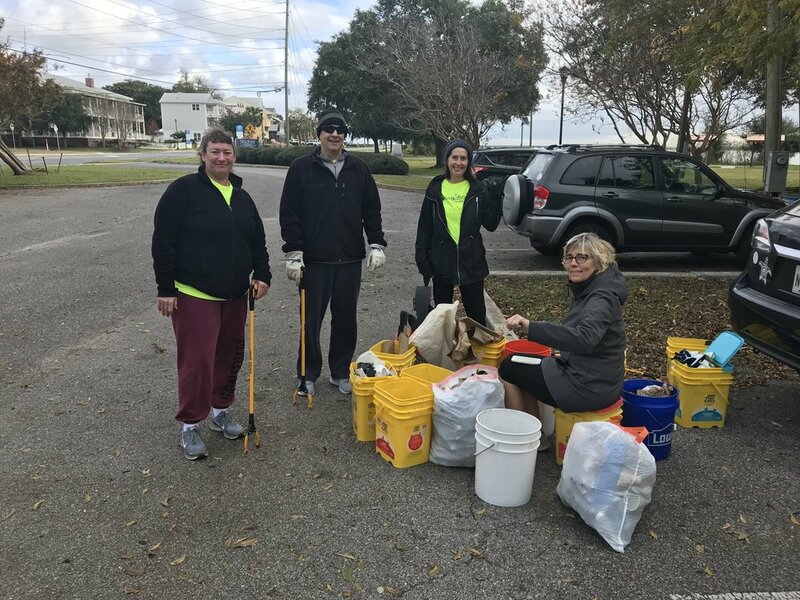 One site - Bruce Beach - 710 lbs of trash picked up! The dominate item was plastic bottles (202) - what a great location for a WATER BOTTLE FILL STATION!! 90.5% of plastic is NOT recycled! Expect to see beer cans/bottles but depressing to find pint/quart bottles of hard liquor along the sides of the road! Don’t be surprised to have to request a straw from your server at a local restaurant/bar. OcaenHour FL has provided these displays and pins for restaurants. Dec 1st A cancelled cleanup goes on! Another 142 lbs picked up at Hobo Beach. The total for November was 1,678 lbs of trash taken off our beaches!